Residential property is the "default" property investment for most people, as it is the one most familiar to us - I mean we all live somewhere, even if it is in Mommy's basement. Therefore, when it comes to property investments, Residential Property is the one that most people gravitate towards (I guess due to fear of the unknown). But there is a whole other world of Property out there - Shopping Centres, Office Parks, Warehouses and Factories - and the best part is, its actually pretty easy to invest in! I am sure there is going to be some great discussion and it will be a lot of fun. So pull in if you are in the area! I have previously looked at the investment returns for equities and bonds in this article. However there is another asset class which I did not investigate - Listed Property. The JSE contains a number of listed property companies (both local and international) and these are included by a number of Indices (the Top 40 currently contains 4 companies1). So some Listed Property returns are inherently captured by the performance of "the market", however I thought it would be good to check out Listed Property as an asset class of its own. Listed property companies are companies listed on the JSE which own a variety of properties and then rent out space. 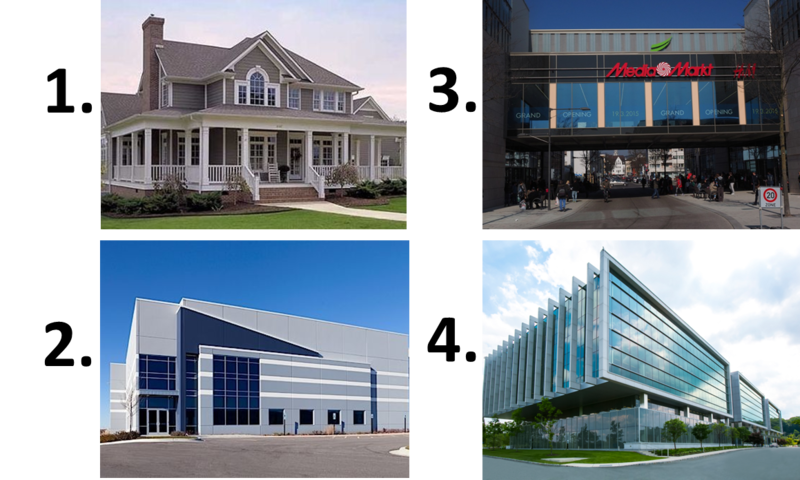 For example your local shopping mall is more than likely owned by one of these companies, and they then rent out shop space to the stores in the mall. Your office block could well be owned by one of these companies too. There are local companies as well as some international companies which own properties overseas. Examples of some of the bigger names include Growthpoint and Redefine which you may or may not have heard of. Now you could allocate your investment to any one or more of these companies based on clever sounding metrics such as Loan To Value Ratios, Vacancy Trends, Lease Expiry Profile, Sector Allocation, Geographical Spread or the highly scientific method of picking the one with the coolest logo. If you got the time and the expertise then sure, go for it. If you want to be a property mogul, just do it the easy way and get yourself a property ETF. In this way you get expsoure to a large variety of Companies, Property Sectors and Geographical locations. In my opinion, an ETF is definitely the way to go. So what are the ETF options? CORESHARES Proptrax SAPY - This one tracks the South African Property Index. It currently holds 21 different property companies. My problem with it is that it currently has around 20% in one single company (Growthpoint). An ETF is supposed to give you diversification, but it's kinda pointless having 21 companies in the fund, but then a fifth of the exposure goes to one single company. For this reason I am not so keen on this one. Current TER is 0.58% More information on the ETF is here. CORESHARES Proptrax 10 - This one tracks the top 10 biggest listed property companies on the JSE, but also it holds each of those companies in equal weightings (i.e. 10% each). This is much better as it means no one company can ever make up more than 10% of the ETF. Current TER is 0.56%, so it is also ever so slightly cheaper than the Proptrax SAPY, and therefore in my view it is a much better option. More information over here. Stanlib ETF Property Fund - This one does the same thing as the CORESHARES Proptrax SAPY, but it does it for cheaper - current TER is only 0.4%. However it's got the same problem as the Coreshares one - 20% exposure to one company. Meh. You can read more about this one here. Also note, these local ones do contain some foreign exposure - both through the local companies which hold some overseas assets, as well as through the pure offshore companies such as Rockcastle and Stenprop. I present to you the new and shiny CORESHARES S&P Global Property ETF. Main geographical exposures include around 56% in the USA, 14% in Japan, 11% in Hong Kong and around 6% in one of the countries that can actually play Rugby Australia. So some decent geographical diversification there! The ETF currently holds no more than about 9% in a single company, so no matter how cool the company's logo, they not gonna go overboard with the weighting! I like this one! You can read more about it here. So that's all well and good Stealthy, but I don't care about the boring theory, I wanna know what returns I am going to get! To get an idea of the return you can expect going forward, it is best to look backward. I know, I know, past returns are no guarantee to future performance blah blah blah. But it's all we got, so let me check it out (if I am wrong you get to say I told you so). First up I am off to Coreshares to check out the performance of their ETF's. Unfortunately their two property ETF's were launched fairly recently (check the September 2016 fact sheets here and here). The one ETF launched in 2007 and the other in 2011. In my opinion this is far too short a time frame to be fully representative. For interest sakes, since inception, the CORESHARES Proptrax SAPY has returned 13.6% per annum and the CORESHARES Proptrax 10 has returned 18.7% per annum (as at September 2016). So I did some more digging to try determine what listed property returns looked like over a longer timeframe. As always Google is your friend, and it led me to a really interesting article on a really interesting website which I tweeted about. I am not too interested in the 1 and 5 year returns, so I am more looking at the yellow and orange bars. Over 10 years property and equities are pretty much equal, and over 20 years it seems listed property has actually done better than equities. Over 10 years listed property gave a real return of 12% p.a. - which is very decent. If I throw in my average inflation number of 6.28% this comes to a total return of around 18% per annum! The longer term number is slightly less - around a 10% real return, which gives an absolute return of around 16.28% after adding inflation back. Again, very decent! I will add the 20 year number (16.28%) to my Stealthy Wealth Numbers Page. Over the longer term, S.A Listed Property has actually outperformed equities. So it is actually very worthwhile having some listed property exposure in your investment portfolio. It will give you some diversification from equities, as well as some decent returns! So what percentage of your portfolio should be in listed property? Some of the experts reckon around 15%, but I have also seen recommendations of 25%. I guess you also need to consider if you own any residential property and factor this in too? Also, it is worth mentioning that most of your other index tracking ETF's have some property exposure anyways (because there are property counters included in most of the indices). For example if you are buying a Top 40 ETF, or even the Coreshares Equally Weighted ETF, then you are getting some Listed Property exposure (whether you want it or not). It is a fair assumption that the biggest Listed Property companies contain some of the best and brightest property minds in the country. But if we consider these big listed property companies and look at their residential property exposure it is pretty much zero. So if the best of the best see better value in commercial/industrial/retail property should that not say something.... Maybe residential property investing is not all that it is made out to be? Maybe something to think about, and chew on (and spit out if you disagree)? Your thoughts? 1 These are Capital and Counties, Fortress (there are A and B shares but usually counted as one company), Growthpoint and Redefine. 2 It was however reassuring to see the values in article are more or less in line to what I found from a number of other sources. I guess it gives more credibility to the data when a lot of different people agree.